I bought my first LP in 1978. I was 11 years old. My dad had given me and my brother, Jak, a stereo system for Christmas the year before and handed down a few of his albums, but our collection was quite limited — a couple of Neil Diamond and ABBA records that he didn’t listen to anymore. Jak bought a few Styx and Journey albums, and he got some heavy metal albums from a friend whose evangelical Mom had forced him to get rid of them. 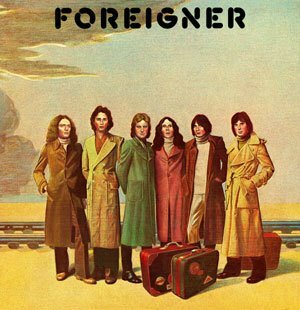 My first contribution to our shared collection was the debut Foreigner album, simply called Foreigner. I had heard “Feels Like the First Time” and “Cold as Ice” on the radio, but I fell in love with some of the other, less-known songs like “Long, Long Way from Home,” “Starrider,” and “Headknocker”. The feeling of playing the first music that I had purchased with my own money is something I can’t describe, but in a way I was proud of that album, and that made me like it even more. 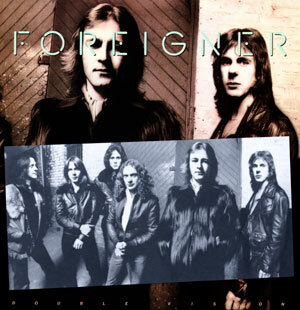 I wanted to include a Foreigner solo in this project, but none of the songs on their first album had the right combination of difficulty and length. I already discussed my experience with Jukebox Hero, so I didn’t want to rehash that, so I picked the raunchy, instant-classic solo from “Hot Blooded”. Here’s the whole song. Solo starts at 2:40. I bought the album Double Vision pretty soon after Foreigner and I was a little nervous bringing it home and putting it on the turntable. Would I be disappointed after loving their first album so much? The driving beat and distortion guitar at the beginning of “Hot Blooded” caught me instantly. I was not disappointed. The solo fits perfectly in the progression, with some difficult speed work, insane bends and a reckless feel. I can’t wait to dive in. Mick Jones is more well-known as a songwriter and producer, but he’s an amazing guitar player. He’s not one to solo for 3-4 minutes, but his short solos pack a lot of power and skill. Here’s a picture of his signature black Gibson Les Paul. He’s lately been seen playing a sunburst Les Paul, but this is the one he’s best known for.